He’s got the Wright stuff to join the rotation. According to multiple reports, knuckleballer Steven Wright has been tapped to join the Red Sox starting rotation. Wright will start in Justin Masterson’s place Sunday as the team announced Thursday that Masterson is heading to the 15-day DL with tendinitis in his throwing shoulder. Masterson is 0-2 with a 13.50 ERA in his last two starts. 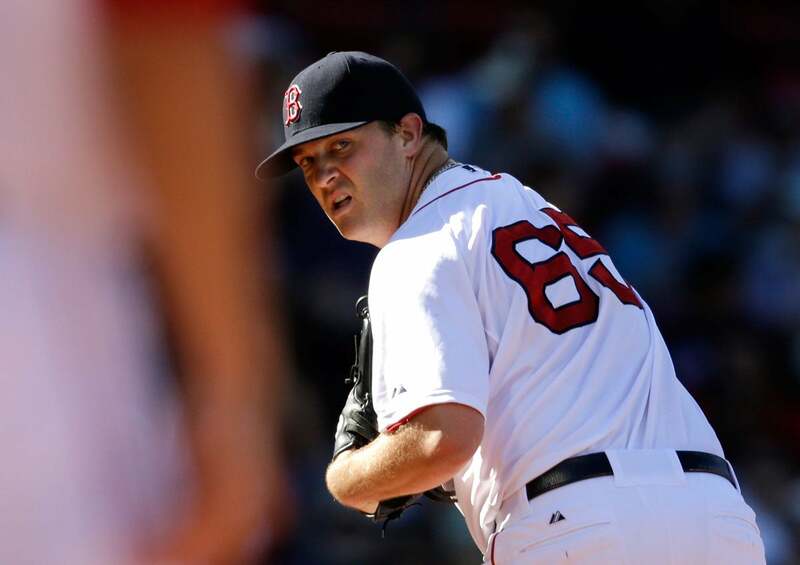 Steven Wright indeed will start Sunday for the Red Sox in place of Justin Masterson. To fill his spot on the 25-man roster, lefthanded reliever Robbie Ross Jr. was recalled from Triple-A Pawtucket. The 30-year old Wright gave up three runs in 5 2/3 innings pitched in relief against the Athletics Tuesday. In 2013, Wright pitched 5 2/3 innings of scoreless relief against the Mariners at Safeco Field.